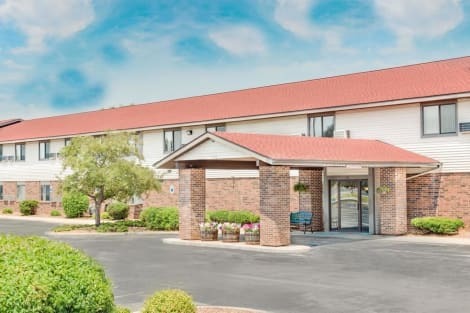 Austin Straubel International Airport is less than 15 minutes’ drive from this Green Bay, Wisconsin motel. It features an outdoor pool with a sun terrace and rooms with expanded cable TV. 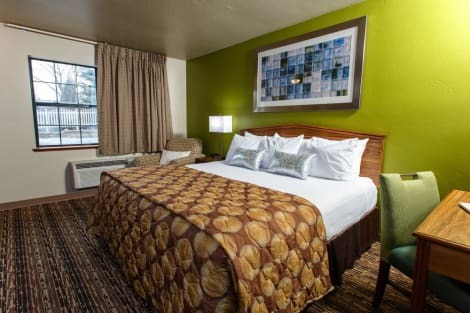 A desk and seating area are provided in the traditionally decorated rooms at Motel 6 Green Bay. Guests can make free local calls. Wi-Fi is available. This pet-friendly motel serves free morning coffee. 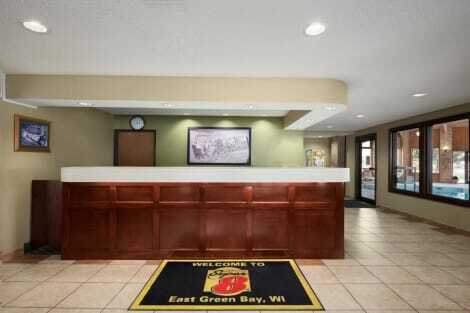 The 24-hour reception at Green Bay Motel 6 offers fax and copying services. Green Bay Botanical Garden and Lambeau Field, home of the Green Bay Packers football team, are 2 miles from this motel. Bay Beach Amusement Park is 5 miles away. When you stay at Hotel J Green Bay in Green Bay, you'll be near the airport, a 2-minute drive from Oneida Casino and 8 minutes from Lambeau Field. This hotel is 3.5 mi (5.7 km) from Resch Center and 15.6 mi (25.1 km) from University of Wisconsin-Green Bay. Featured amenities include a business center, express check-in, and express check-out. Planning an event in Green Bay? This motel features 300 square feet (28 square meters) of event facilities. Free self parking is available onsite. When you stay at Mariner Motel in Green Bay, you'll be on a river, within a 10-minute drive of Lambeau Field and Oneida Casino. This hotel is 4.1 mi (6.7 km) from Resch Center and 12.6 mi (20.3 km) from University of Wisconsin-Green Bay. Featured amenities include a 24-hour business center, dry cleaning/laundry services, and a 24-hour front desk. A roundtrip airport shuttle is complimentary (available 24 hours). When you stay at Baymont by Wyndham Green Bay in Green Bay, you'll be in the business district, within a 10-minute drive of Lambeau Field and Oneida Casino. This hotel is 2.2 mi (3.6 km) from Resch Center and 14.8 mi (23.8 km) from University of Wisconsin-Green Bay. Make yourself at home in one of the 60 air-conditioned rooms featuring refrigerators and microwaves. Your room comes with a pillowtop bed. Complimentary wireless Internet access keeps you connected, and cable programming is available for your entertainment. Private bathrooms with shower/tub combinations feature complimentary toiletries and hair dryers. When you stay at Quality Inn Stadium Area in Green Bay, you'll be in a shopping district, within a 10-minute walk of Lambeau Field and Resch Center. 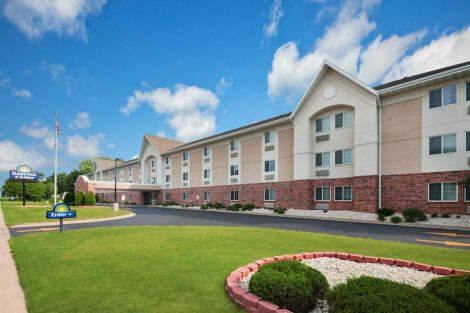 This hotel is 4.9 mi (7.9 km) from Oneida Casino and 10.9 mi (17.5 km) from University of Wisconsin-Green Bay. lastminute.com has a fantastic range of hotels in Green Bay, with everything from cheap hotels to luxurious five star accommodation available. We like to live up to our last minute name so remember you can book any one of our excellent Green Bay hotels up until midnight and stay the same night.